Earlier this month we attended the Hudson Valley Dance Festival at historic Catskill Point in Catskill, sponsored by Dancers Responding to AIDS. Stanley and I are members of the host committee. This is the second year that there were two performances, and once again both were sold out. Between the afternoon and evening performances there was the usual outdoor reception, and once again the weather cooperated. The reception featured a nice spread of snacks, wine and a special cocktail, much more food than in previous years when it was just cheese sticks. This was very nice, and available to anyone who bought an orchestra seat. Seven hundred attended in total, and ticket sales and donations resulted in nearly $150,000 being raised, again surpassing previous years. After the reception, we moved indoors for the performance. This time, there were nine performances, by eight different dance companies, and all of the performances were quite impressive. Following the performance, we headed to the VIP reception at W + G Space, an art and photography studio in downtown Catskill. Another change this year was that instead of a buffet at the evening receptions, there were only passed hors d’oeuvres. But what fabulous hors d’oeuvres they were! We made a perfect light dinner of them. 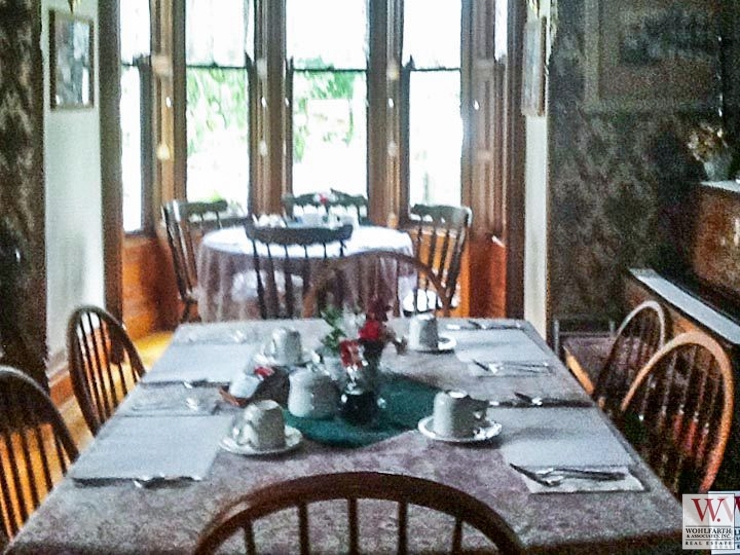 The Limestone Mansion Bed and Breakfast is a stunning 1870 Victorian house situated on an acre of land in the center of the charming village of Cherry Valley. 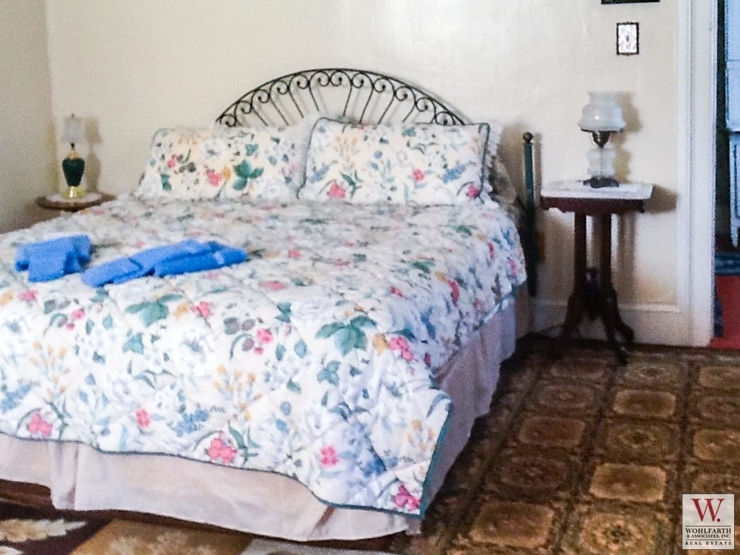 Its proximity to the Glimmerglass Opera Festival (10 miles) and Cooperstown (15 miles) makes it an ideal spot for visitors to unwind after a performance or a visit to the Baseball Hall of Fame and the numerous museums in the area. 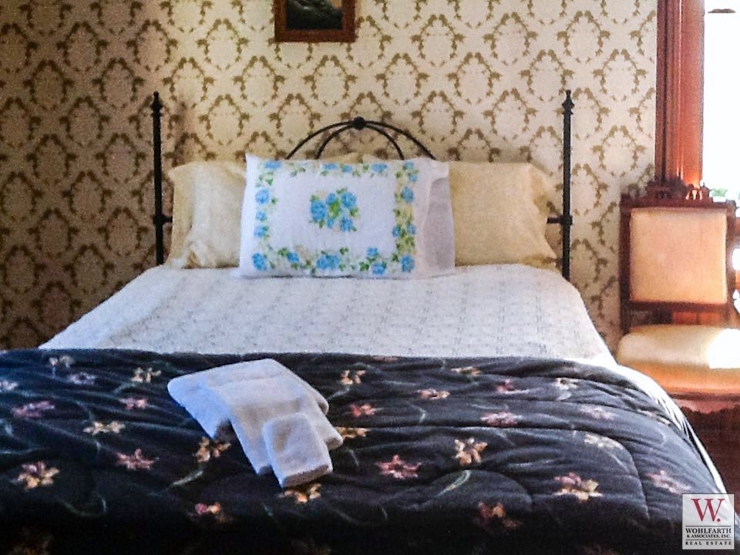 Rooms are already booked 2 years in advance for the Summer season. 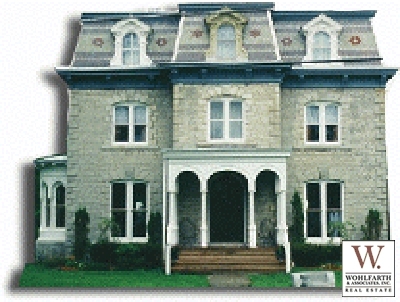 The main house, with approximately 8000 square feet, includes 12 air-conditioned bedrooms, 6 full baths and 2 half baths. 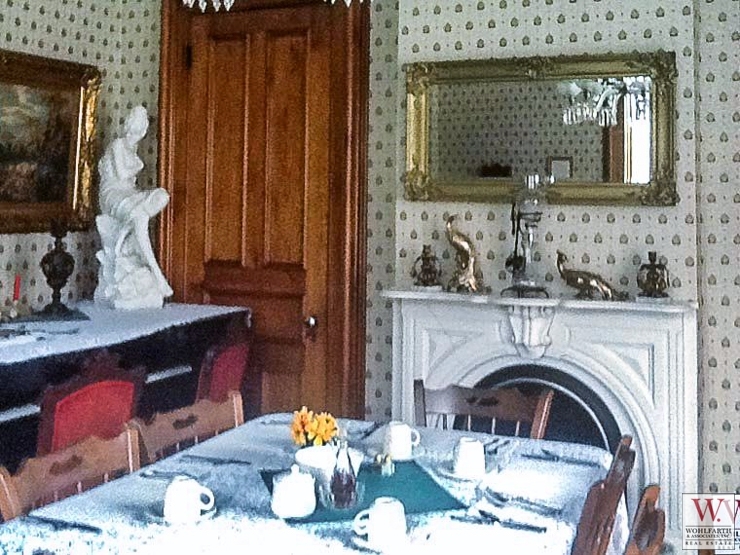 There are 4 dining rooms, a restaurant kitchen, and a basement tavern room. 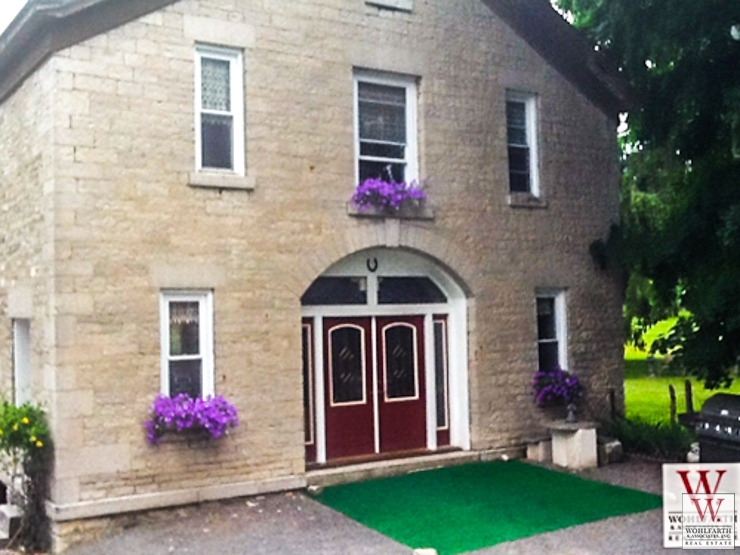 The 2500 square foot carriage house contains an events room with bar and wide-screen TV, seating for 50, a half bath, and an apartment on the second floor with 2 bedrooms and 2 baths. 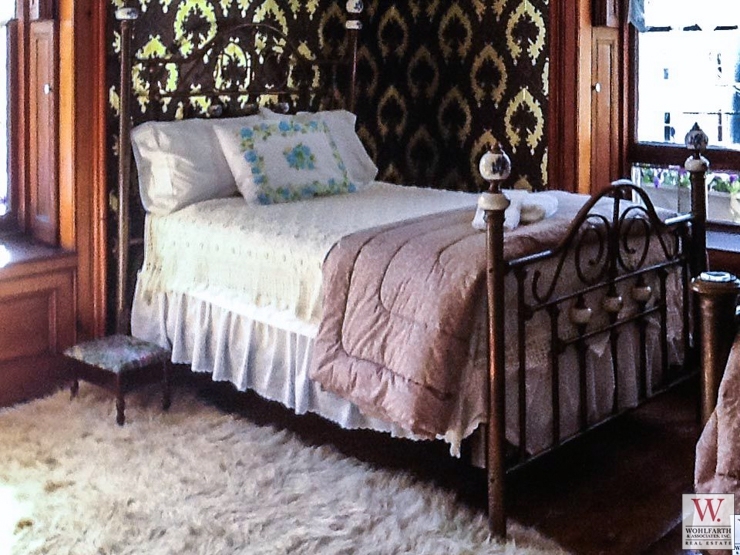 The house has been lovingly maintained and restored, with every architectural detail intact. 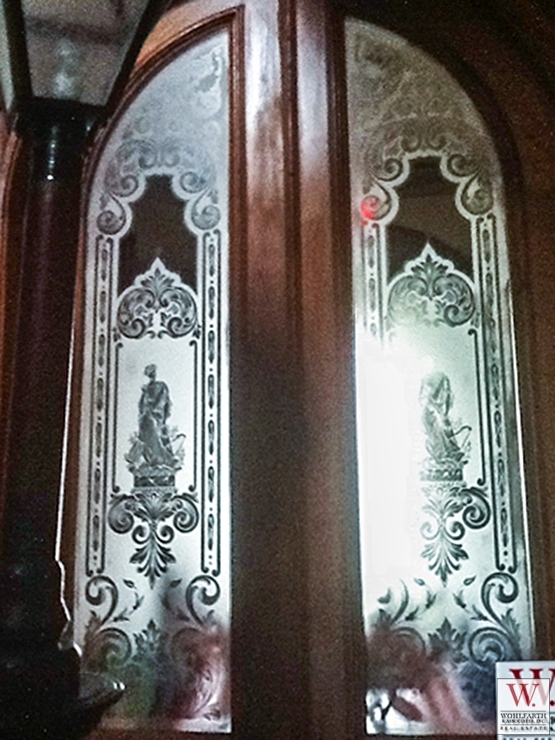 There are 2 Italian marble fireplaces, all original butternut woodwork including recessed window shutters, etched glass doors, original crystal chandeliers, elaborate moldings, ceiling medallions, and polished hardwood floors. 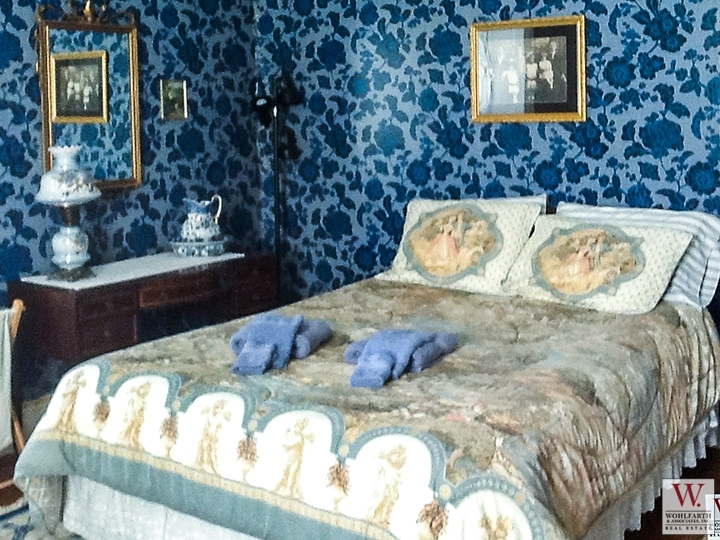 The bedrooms and public areas are furnished with beautiful period antiques. All mechanical systems are up-to-date and in excellent condition. The owners also ran a successful restaurant on the premises. A new owner could easily do this, as there is a demand in the area for fine dining. After 25 years in business, the owners are ready to retire, and are offering this extraordinary property at an unbeatable price. 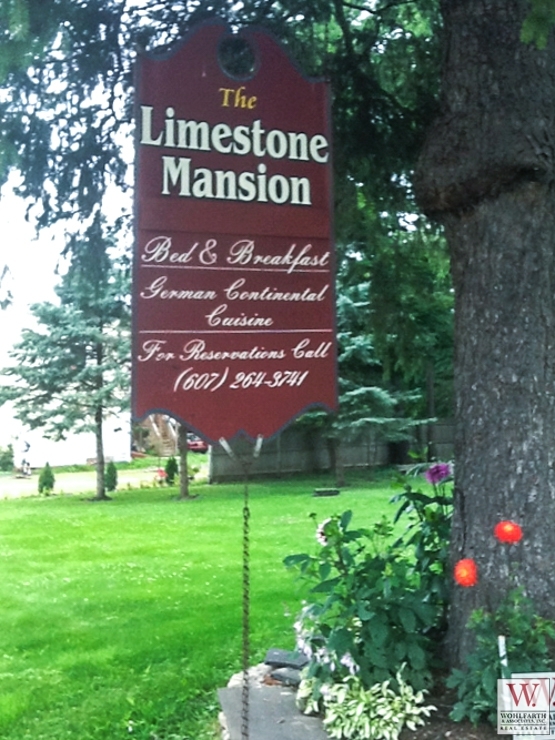 The Limestone Mansion presents a wonderful opportunity to take over a turn-key operation, and enhance it as desired. Listing is no longer on my website. Please contact me at rrems@wohlfarth.com for more information. We left Dinan early this morning, stopping in Chartres before continuing on to Paris. First we checked out restaurants before visiting the cathedral. The last time we were here was almost thirty years ago, and we immediately noticed a major difference. They are in the process of cleaning and restoring all the interior stonework and the painting on it. Much of it has been cleaned and some of the upper columns have been repainted. One of my photos shows a cleaned area with a patch of the original painting left on. We had decided on Le St. Hilaire for lunch, and returned there after the cathedral. Unfortunately we underestimated the popularity of this rather out of the way place, and hadn’t reserved. They were fully booked. Lesson learned, we headed back toward the cathedral, where most restaurants were clustered. We ended up at Brasserie des Changes, which turned out to be a very good choice after all. We shared beef carpaccio with greens and parmesan, I had filet of sandre, he had a “Frenchie hamburger”, and we shared rice pudding with caramel sauce. With a 50cl pitcher of Cahors, and coffees, total was 56, a delicious and inexpensive lunch. Continuing on to Paris, we got stuck in a rush-hour jam (at 3:30!) that delayed us an hour, but we got to Ana and Bertrand’s in La Varenne in time to get ready for dinner. We dropped off the rental car at Gare de Lyon, and drove with them to Les Enfants Rouges in the Marais. This is a small and crowded, very popular place, serving French food prepared by a Japanese chef. A three-course menu is 48 euros. Dishes we had were marinated chinchard (horse mackerel), a slice of boudin noir with nuts that is fried and served with cornichons, beets and carrots, corn soup with powdered chorizo, saddle of lamb with foie gras and bok choy, blanquette de veau, croustillant of lotte, baba au rhum, lichee mousse with grapefruit topped with an orange tuile, pistachio semifreddo with figs Paris-Brest. The food was interesting and of high quality, a good value, service was a bit chaotic, seating very tight. Light rain ended by mid-morning. We planned a day of visiting two chateaus, La Roche-Guyon and Domaine de Villarceaux, both west of Paris. After the chateau, we had lunch at a delightful restaurant just down the street, Les Bords de Seine. We had intended to have a light lunch, but the smaller menus offered on weekdays do not apply to weekends, so it only made sense to order the three-course lunch, still not a bad deal at 25.50 euros. The food was excellent and the selection extensive. We had fried whitebait with aioli, saucisson a l’ail, poached skate with caper sauce, chicken breast, moules frites, rhubarb tart, coffee and caramel sundae, and cafe gourmande (coffee served with a brownie and creme brulee). A bottle of the house wine from Southwest France was very good. The total for the four of us was 116 euros. After lunch we headed to Domain de Villarceaux, where we took a guided tour that turned out to be very long. While it was interesting, we ended up spending much more time than anticipated, and walking very long distances. So, after hurrying off just as the tour was ending, we ended up in a traffic jam heading back to La Varenne. We were exhausted, still full from lunch, and Stanley’s knee was aching terribly, so we ended up cancelling our plans to have dinner at La Ferrandaise in Paris, and instead made a dinner out of what was in the refrigerator, which turned out to be pretty good. We had chicken breasts, sauteed with spices and topped with a tomato cream sauce, fettucine, and a casserole of eggplant, cream, cheese, herbs and bread crumbs. We even started with some pate de foie gras and duck rillettes with foie gras. A light dessert of vanilla ice cream with rum was a nice ending. A relaxing evening at home was just what we needed. Awaking refreshed on Sunday, we went to the market in La Varenne, where we bought things for the afternoon meal and evening supper. Head cheese, supremes de pintade (breasts of Guinea hen), cherry tomatoes, potatoes, and cheese curds for making aligot. We stopped at the patisserie to buy a gorgeous chocolate cake. Bertrand made a shoulder of suckling lamb from the Pyrenees, with cepes that he picked in the Foret de Rambouillet. We had the head cheese to start, and the cake for dessert. Later, for the evening meal, Stanley and I made the pintades, with a parsley cream sauce, sauteed cherry tomatoes, and aligot. We finished off the cake for dessert, with ice cream on the side. We packed our bags and set off with Ana and Bertrand to meet the Talbotts. We had a most wonderful lunch at ZKG. Stanley and I had been there years ago, and it has obviously held up well. The menu at 49 euros for three courses is reasonable considering the quality. Wines are pricey, with the lowest red, a Cotes du Roussillon, at 49, so that is what we ordered, and it was excellent. My choices were pasta, the fish of the day, which was rouget, and gianjuja. I didn’t get to taste everyone else’s dishes, but we were all very pleased. We were also given a small extra course after the entrees, shrimp with coco beans in a broth that tasted of Thai spices, delicious. With two bottles of wine and coffees, the total for six was a bit over 400 euros. We strolled back to the car, got our luggage and caught the train to the airport, having had another memorable vacation.